Welcome to Grassroots Landscaping, Inc. Here you will find a company that can shape your landscape into what you want it to be. We specialize in landscape design/install, retaining walls, lawn care, and custom carpentry. 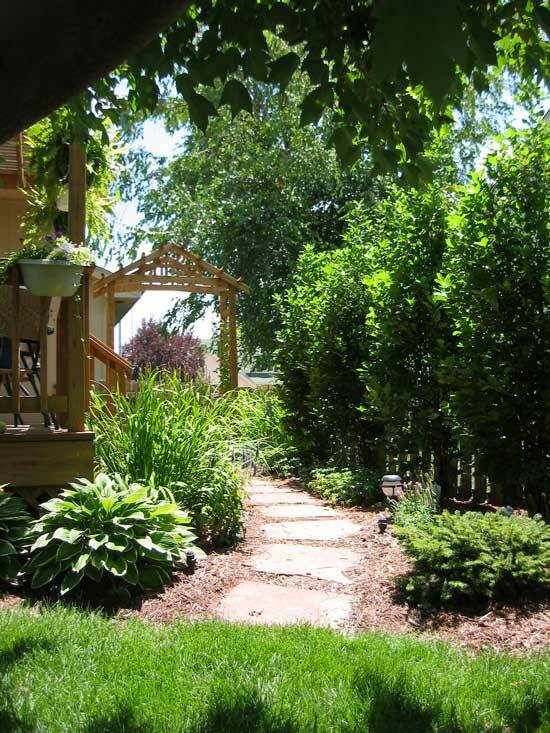 Click on the links at the top of the page to learn more about Grassroots Landscaping, Inc.
Grassroots Landscaping, Inc. will be at this years Omaha Home Show. The home show will be running from March 24-28th at the Qwest Center Omaha. We will be located on the main boulevard of the show, so come by and check us out in person that weekend! We will have several carpentry items to show and sell at the show. We are looking forward to seeing all of you there! We are currently hiring for the 2004 season. Please check our News page for more infomation. If you are interested in having us take care of your lawn next year, contact us soon because we only have a limited number of openings for next season. You'll enjoy a great looking yard without the work! Click here to schedule a FREE ESTIMATE for lawn care with us! Right now is the time to contact us for a landscape design for your home or business. With a certified landscape designer on staff, we can provide you with a landscape design tailored just for you. Each client and job is different, so we don't use a cookie cutter approach, we create a unique landscape each and every time. Check out a great new resource for finding a new home in the Omaha area by going to OmahaHomeListings.com. We are very impressed with them, and we think you will too. NEW PHOTOS! Click here to check out the new photos and projects! 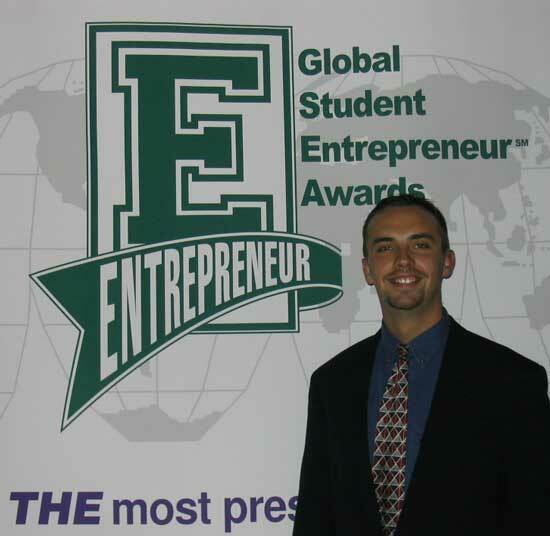 Click the photo below to visit the Global Student Entrepreneur Awards website! Andy Szatko at the GSEA. let your family and friends know of this site. The best compliment that you could give us is the referral of Grassroots Landscaping, Inc. to your family and friends. In order for us to serve you in the best possible way, please leave us a message or comment about what you liked and/or would like to see made better, thanks!